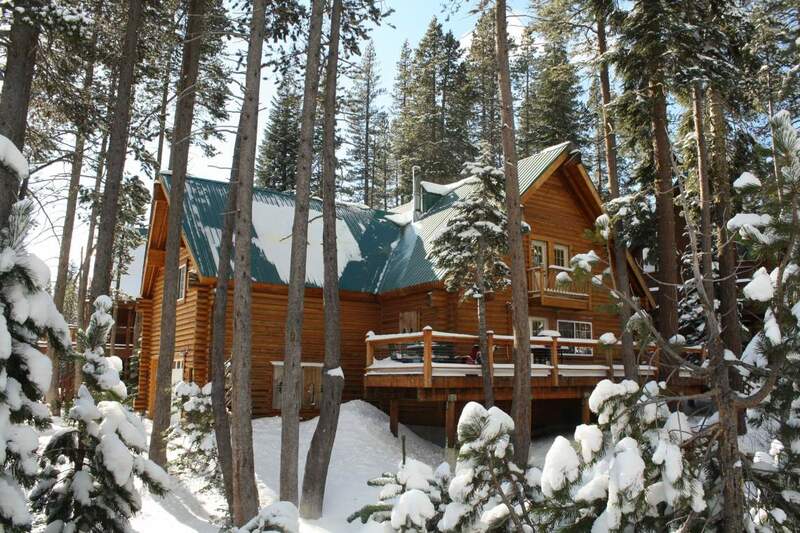 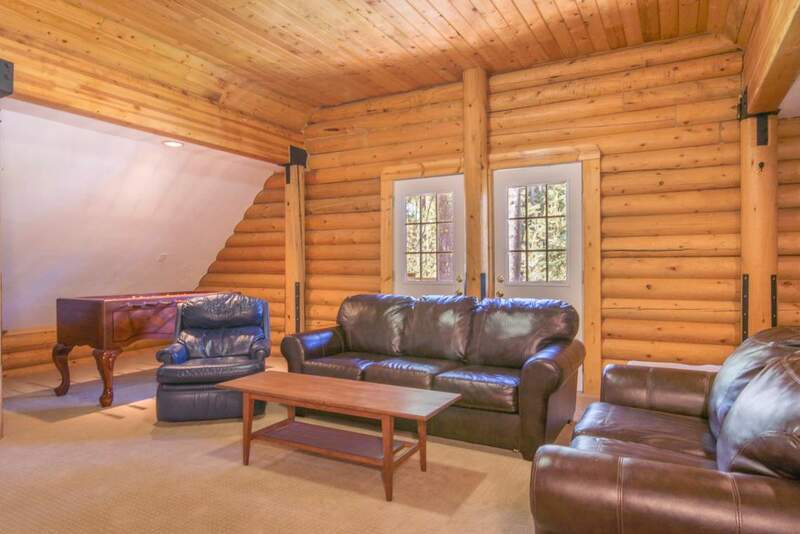 The Log Cabin is a custom built log home with a large 1 car garage, 5 bedrooms, and 3 bathrooms. 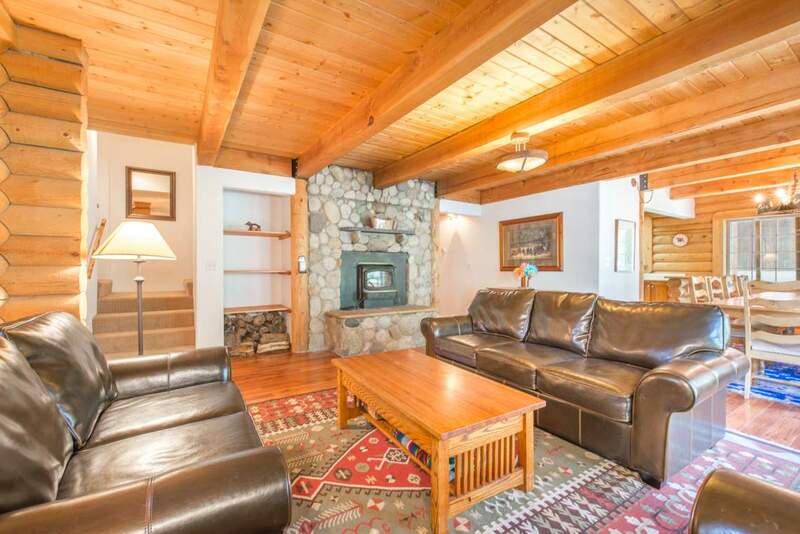 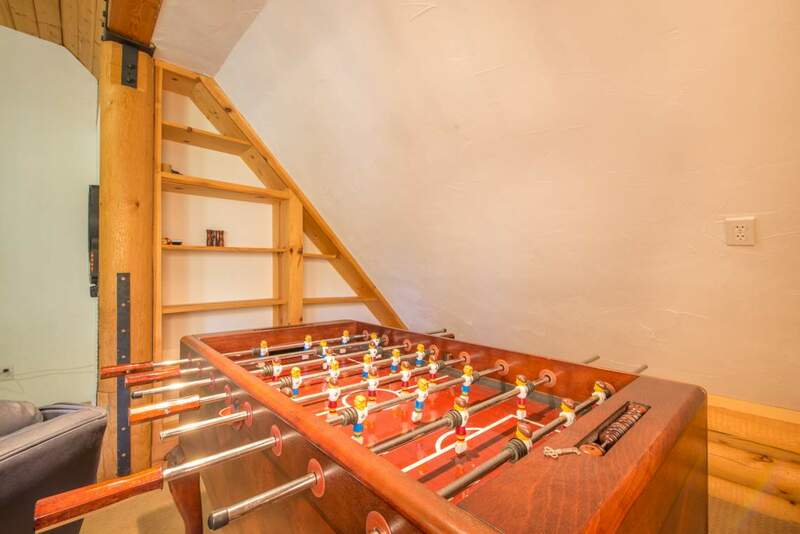 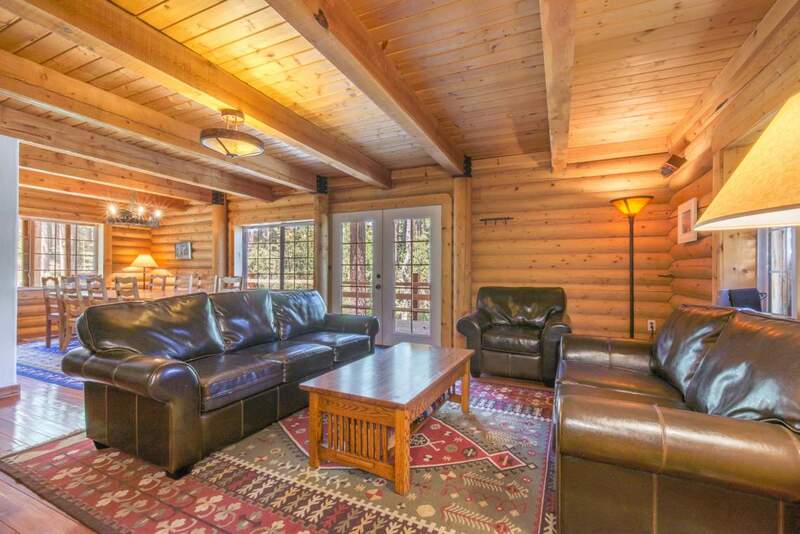 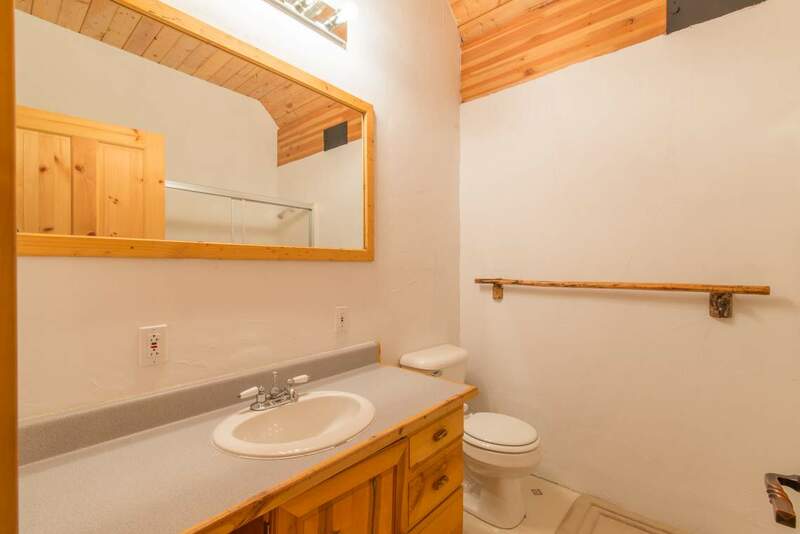 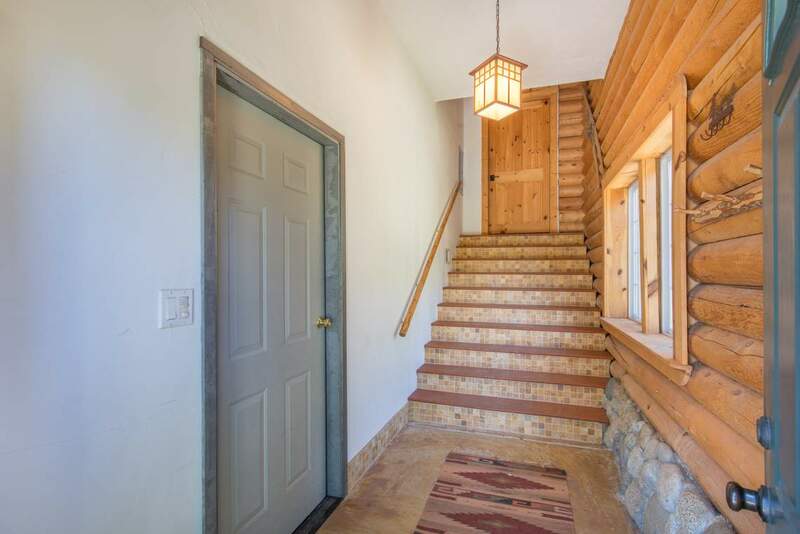 This mountain cabin is perfect for your next getaway… a short walking distance to Royal Gorge, North America’s largest cross country ski resort, and minutes from Sugar Bowl, it’s perfectly situated. 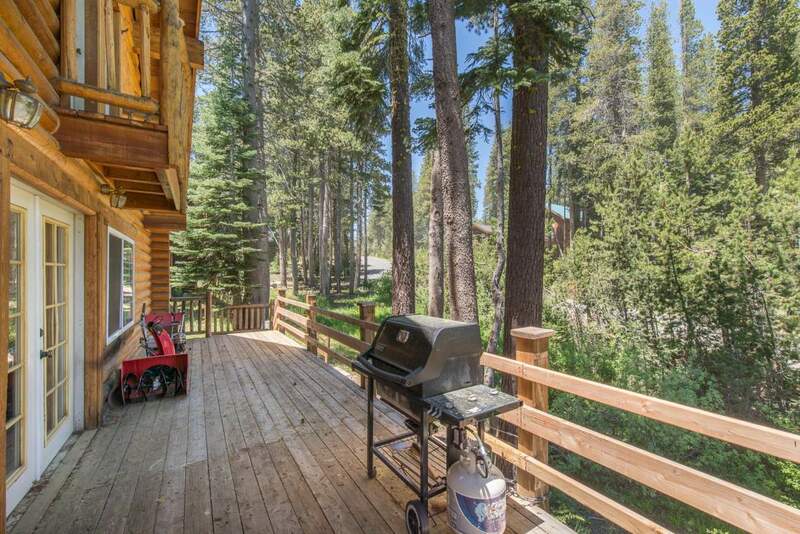 The cabin is located in the beautiful community of Serene Lakes near two gorgeous lakes and just steps away from endless hiking trails. 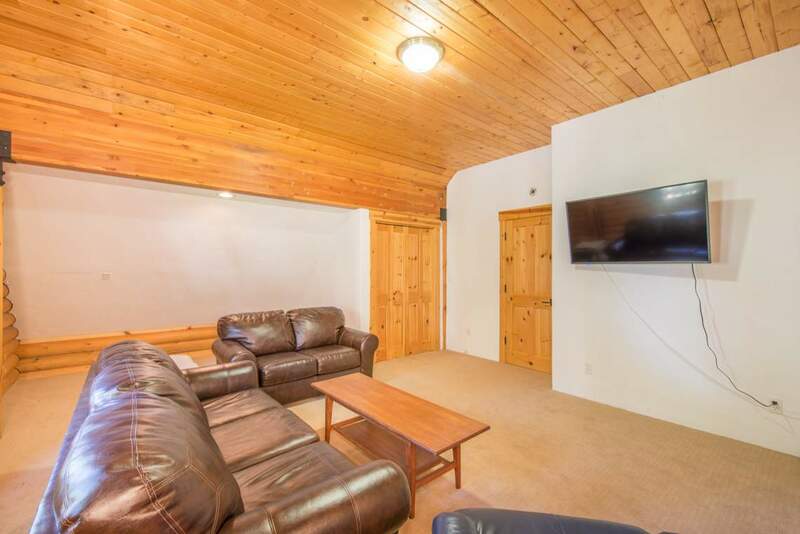 The large windows off the living room and dining room bring the outdoors in, allowing you to experience the gorgeous landscape surrounding the cabin. 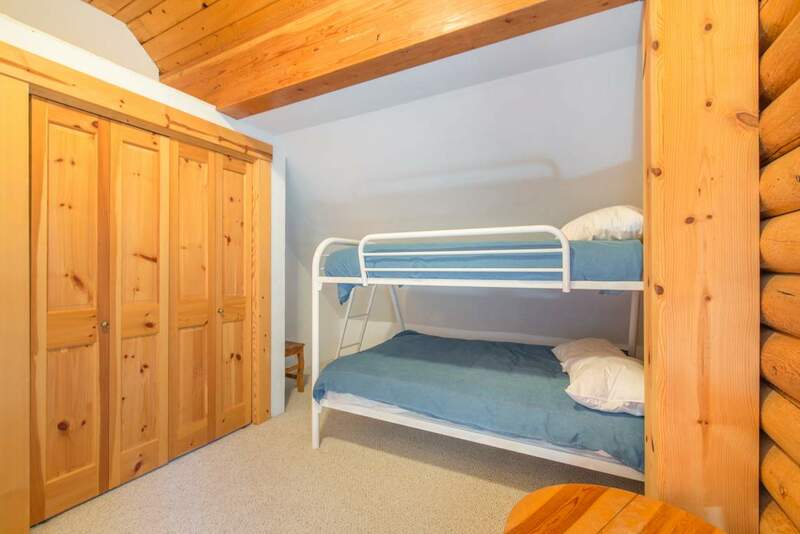 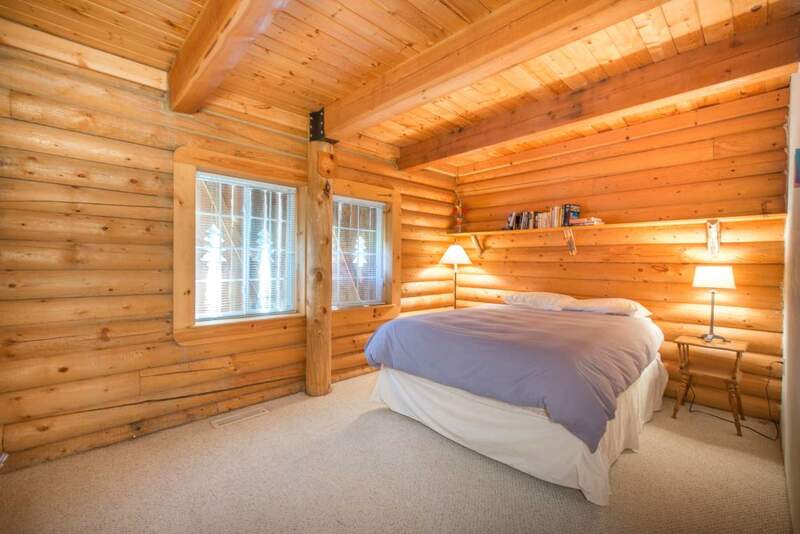 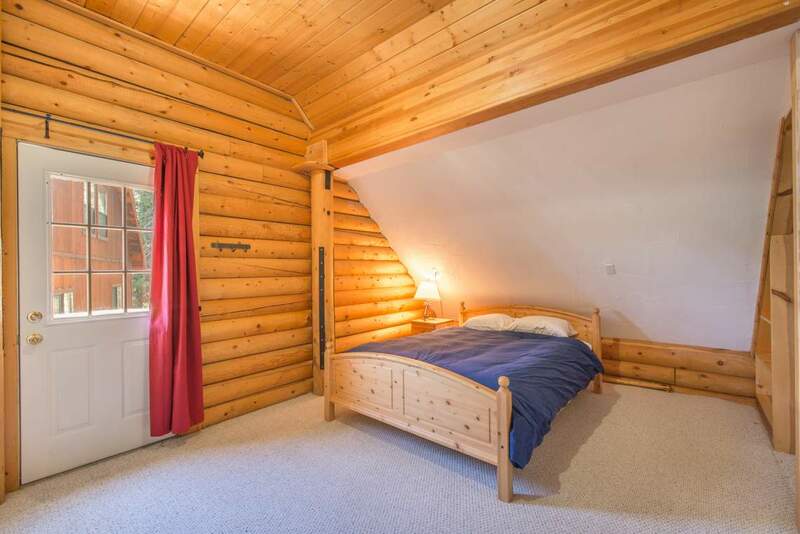 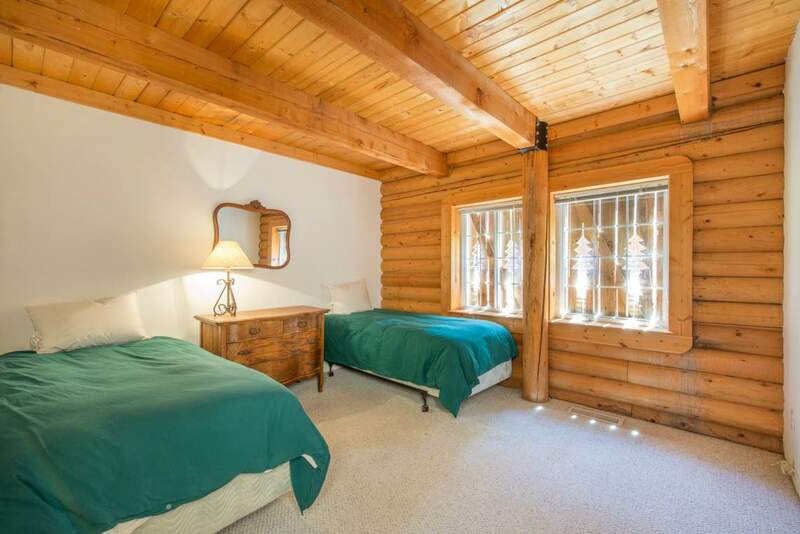 With a garage, large driveway, and enough beds to sleep ten people, the Log Cabin is perfect for multiple families. 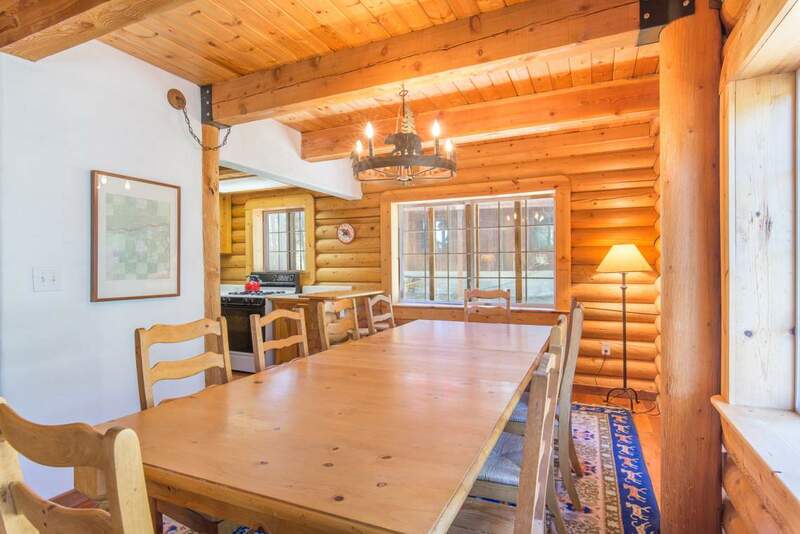 The spacious main floor deck is ideal for entertaining and relaxing as well as the large dining room table for everyone to gather around. 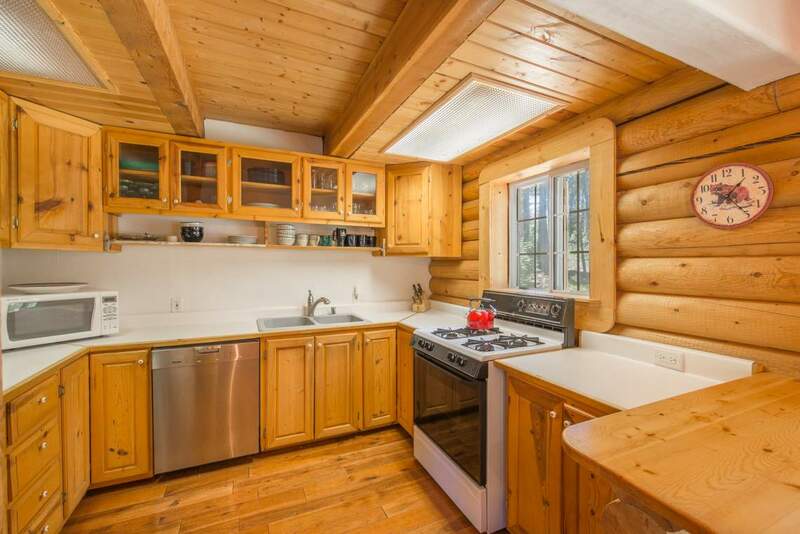 Sit around the fire, BBQ outside for winter and summer grilling, or simply make a home cooked meal in the well appointed kitchen! 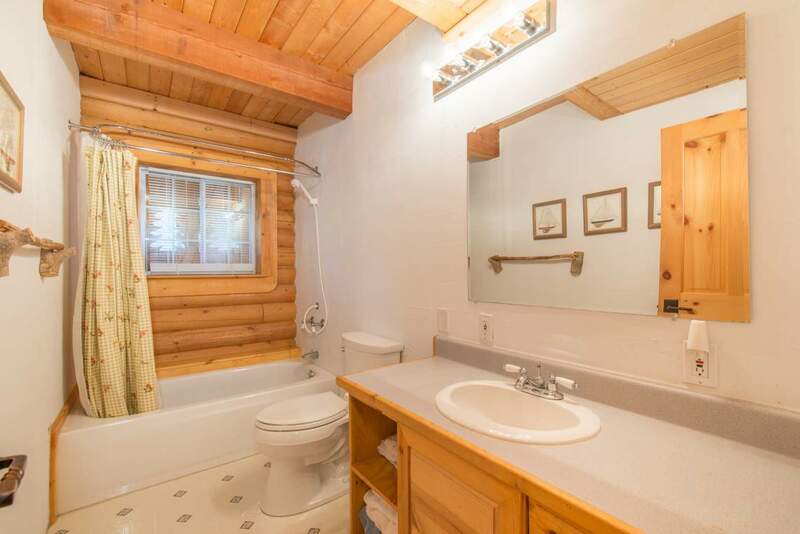 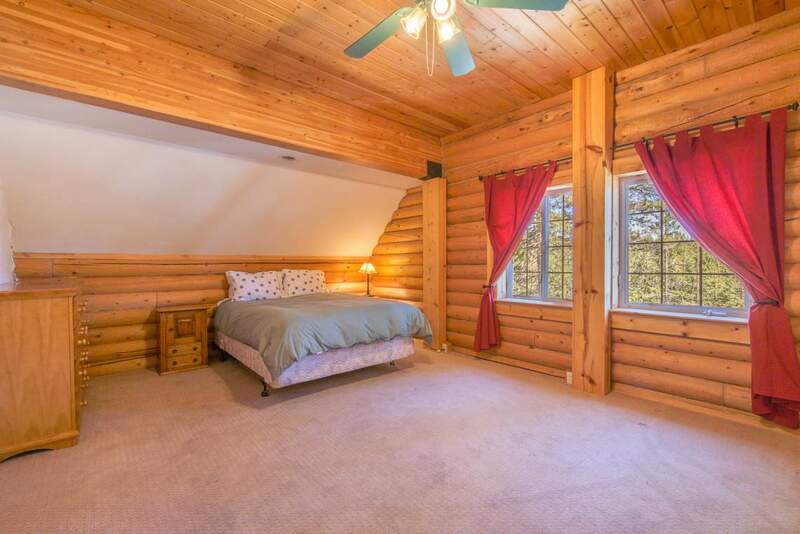 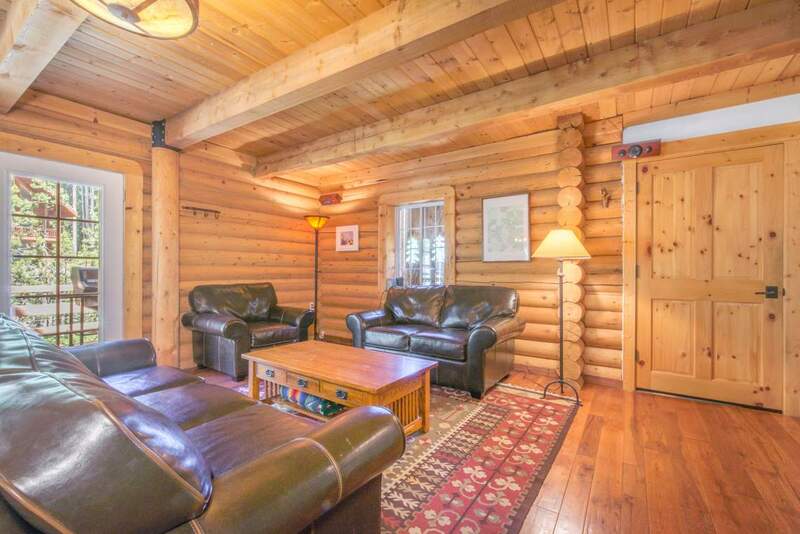 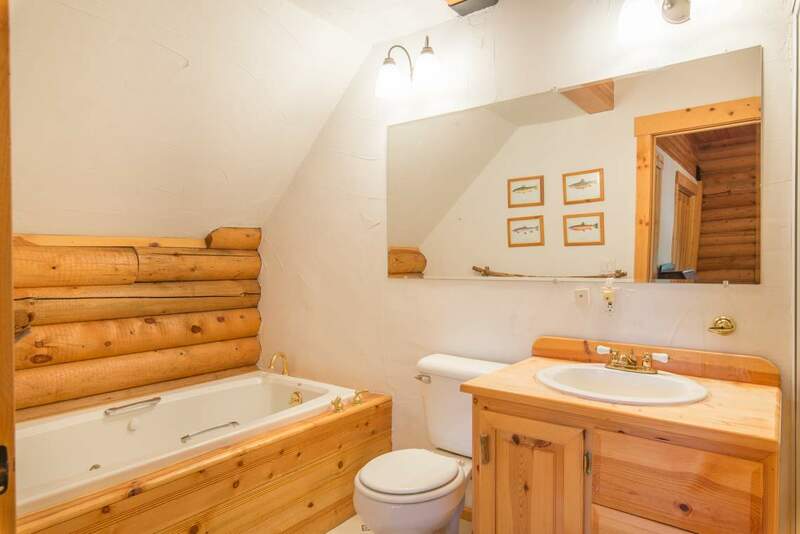 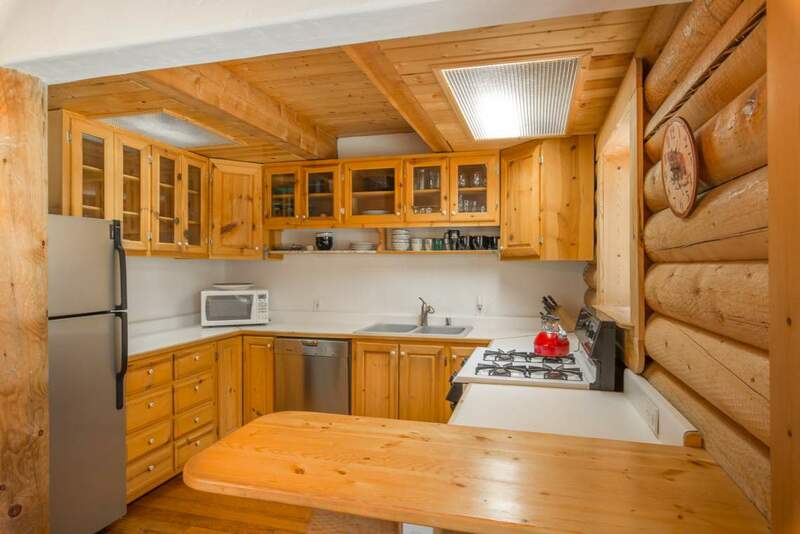 The Log Cabin will be your next home away from home!